People often ask how much a move out cleaning including a handover guarantee will cost. However, calculating the costs for the move out cleaning isn’t that easy, as various factors have to be considered. Therefore, there is no simple answer to this question, but we will do our best to explain how the costs are calculated. Which elements influence the price of a move out cleaning with handover guarantee? How much does an average move out cleaning at MOVU cost? What factors influence the price of a move out cleaning? It is often assumed that the size of the apartment has the greatest impact on the cleaning price. However, this is rarely the case and the following factors influence the price the most. The kitchen requires a lot of time and effort as it’s the place where people cook. It is one of the most time-consuming rooms to clean and nowhere else, during the apartment handover, is paid as much attention to detail as in the kitchen. The standard kitchen move out cleaning routine involves: a thorough cleaning of the oven, dishwasher, stove as well as all cabinets and drawers. The inside of the extractor fan must be cleaned and the filter needs to be replaced. The floor must be cleaned and if you have with metal fittings, it’s important that they have been thoroughly descaled. Professional cleaning companies will have the necessary cleaning equipment to remove stubborn and burnt-in stains. Compared to other rooms, the bathroom also takes a lot of time to clean. The more toilets, bathtubs and showers your home has, the higher the price. Bathrooms (shower, bathtub), sinks and taps are particularly susceptible to lime. Due to increased humidity and lack of air circulation in the bathroom, mold may form in joints or corners. Therefore, the bathroom is checked very carefully during the handover, to see if everything has been cleaned properly. Everyone knows the annoying subject of window cleaning. Windows need to be immaculately cleaned and no residue must be visible. Additionally, window frames must be cleaned inside and outside. It is also necessary to vacuum and clean between the rubber gaskets and the closing mechanisms of the windows. Lastly, any discolouration of the window ledges needs to be cleaned. Cleaning the blinds is often something that gets forgotten. It matters what type of window blinds you have. Roller shutters and blinds are quickly cleaned and require less effort than slat blinds, for example. In the case of slat blinds, all individual slats must be cleaned at the top and bottom, which can take up to 20 minutes of additional work per window. 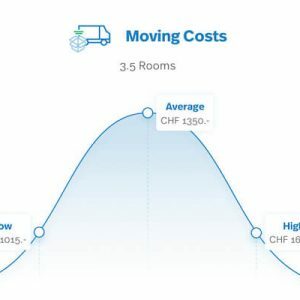 MOVU is the largest moving and cleaning platform in Switzerland and realizes over 1000 orders per month throughout Switzerland. In order to get a feeling of how much your move out cleaning could cost, we will give you the average costs. Please note that the price may vary depending on the above-mentioned specifications. For smaller apartments with 1.5 to 2.5 rooms, the prices vary between CHF 370 and CHF 800. The price will depend on how complex the cleaning for the bathroom and kitchen is. On average, the move out cleaning for 1.5 room apartments costs CHF 490. For 2.5 room apartments, it’s CHF 640. On average, the price for a 3.5 room apartment is CHF 810. For 4.5 room apartments, the move out cleaning costs roughly CHF 995. Again, prices vary according to the information provided by customers. 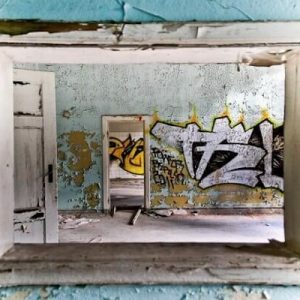 Are there one or two bathrooms that need cleaning? This will influence the final offer price. Cleaning a 5-room-apartment or bigger is very time-consuming. You will have to account for more than 20 working hours. 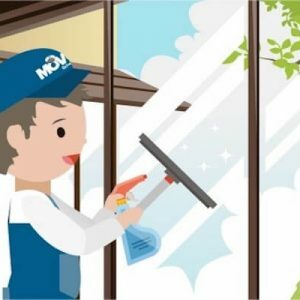 In this case, MOVU partner companies will usually send cleaning teams of 4 or more. The more windows, bathrooms and rooms that need to be cleaned, the longer it will take. The move out cleaning of a 5.5 room apartment costs on average CHF 1,210 and cleaning a 6.5 room apartment costs on average CHF 1,290. For each inquiry, MOVU will provide you with 5 offers from 5 different companies. You can compare the companies, read reviews and choose the offer that best suits your needs. Thanks to the handover guarantee, you can rest assured that everything will be taken care of when you hand over the apartment. And since all companies at MOVU only offer fixed prices, you can be sure that you only pay the agreed upon price. To receive 5 offers for a move out cleaning, please contact us here. How much does it cost to move with a professional moving company? Worth Talking About: Who Is Paying for Tenancy Damages?